Happy Labor Day to everyone! I hope you are all enjoying a very laid back day of rest, fun and enjoyment! I'm still in shock over it being the first of September. Just can't believe how fast time is passing! Halloween, Thanksgiving and Christmas are just around the corner and to say that I'm not ready is the understatement of the year! I don't know if I'm the only one with this time warp problem...I hope not. It's really kind of mind-boggling! Zoe and I are celebrating by getting all dolled up today. She has already had a bath and haircut...which means I also got a bath...in the process of trying to give her one, that is! I'm halfway through a manicure and pedicure (for me, not Zoe). By this afternoon, we will both be smelling good, washed, clipped, trimmed, painted and fixed up. Of course, for me, that doesn't mean so much. I've never been one of these "every hair in place" type of people. My hair is always a bit out of control, my makeup is always less than perfect, my clothes are always a bit off-beat. If I were a Hollywood star, I would be the one who just never quite got it right (if there is such a thing as a Hollywood star who doesn't!). I would never be able to pull off some meticulous fabulous look. Unless it was "Annie Hall" or something a bit weird and eccentric. THAT, I could do! Some people look perfect, no matter what. Others, such as myself, for example, never look perfect, even 2 minutes after getting all fluffed up. So, I'm starting the month of September with a little pampering, but I'll still be "just plain me" when it's all said and done. Zoe, however, will look FABULOUS!! Let's talk about shaving. Yep, that's what I said...shaving. As in removing hair from your body. Frequently. I bring the subject up because I recently had the "opportunity" to replace my razor, the old one having finally decided it had gnawed off enough stubble and it was ready to retire permanently. Whether I liked it or not. So, I did what anyone in my position would do. I started an all out internet search for a new one. Initially, I was actually kind of excited. I mean, TECHNOLOGY, right? Had to be better than the last time I bought a razor. Had to be lots of great improvements, right? Boy, was I wrong, wrong, wrong. First of all, what's the deal, anyway? 90% of all the razors on the market are made for men. I don't get that at all. Men shave their face...maybe. Some grow beards. Some shave part of their face. Some shave their face sometimes. Women, on the other hand, shave practically their entire BODY!!! Practically daily!!! So please explain to me why 90% of all razors manufactured are made specifically for MEN??? Does this make sense to you??? And get this...the great technological advances...they've reserved those for men's razors. Oh, there are a couple of technologically advanced (supposedly) razors that are made for women. A couple. Compared to 99,999 men's razors. And here's another thing...men's razors are "engineered" to deliver a smooth and comfortable, yet incredibly close shave. Women's hair removal devices, on the other hand, frequently are engineered to rip your hair out by the roots!!! They tell you you'll have "a little discomfort" until your skin becomes used to it. "It" being torture!!! What is up with this? Men get technologically advanced engineered for comfort incredibly smooth shaves and women get their hair. Ripped. Out. By. The. Roots. What am I missing here? If life made any sense, the focus would be on providing a technologically advanced engineered for comfort incredibly smooth shave for women, who OBVIOUSLY USE their razor ALL THE FRICKIN' TIME on a VERY LARGE PORTION OF THEIR BODIES. Let men get by with less, for heaven's sake! They just shave a very teeny little part of their face! What is WRONG with this picture?!?! I will try to refrain from ranting now. I'll try to get back to my story. But I make no promises. Anyway, I did this big internet search and researched women's razors, reading everything I could find out there in cyberspace. It pretty much came down to two...count them...two whole choices. Two really expensive choices. As in, they are REALLY proud of their razors! Yeah, I wanted a cordless rechargeable fancy-smancy super-duper razor, but I didn't expect to have to take out a loan to get one. And no, I didn't go for a rip and zip kind of hair removal device because I'm really not into unnecessary pain. Those were actually somewhat cheaper...go figure. I'm surprised they can give them away. Oops, I'm starting to rant again, aren't I? Sorry. Being very much against spending large sums of money for something that I despise having to use, I decided to visit eBay and see if anyone had one of these fancy-smancy high dollar razors for sale at a price that was more in line with my expendable cash (can you say c-h-e-a-p?). I am happy to say, I found a great deal on the very model I had decided on and I'm truly hoping it wasn't stolen, because that's how good of a deal it was. Brand new, factory sealed box, never been opened. I know this for a fact because it took me 2-1/2 hours to cut away the incredibly durable hard plastic outer shield that had evidently been heat sealed to provide a totally impenetrable seamless shell. I'm not sure why this was necessary, but evidently someone thought it was worth spending a lot of money on this particular packaging. I only sliced my hand open twice in the process of removing my new razor from this highly technologically advanced packaging. How does it work? Eh, it's O.K. Works about like the old one did before it pooped out on me. I'm glad I didn't pay full price for it because I would be very upset and disappointed if I had. But as it is, it's a nice razor that does the job about like the razor I had back in high school in the dark ages, which tells you just how little technological advancement has truly happened in this particular field. The biggest improvement is it's cordless and rechargeable. I like that. But I still have to shave just as often. A blade still shaves closer, so I do that a couple of times a week and use my fancy-smancy razor for those in between times (like every day that I don't use the blade) because it really doesn't cause my hair to grow out slower, even though "everyone" said it would and it really doesn't shave so close that I can go a couple of days between shaves. So much for truth in advertising. Maybe the men's razors are better. Maybe I should have just said "screw it" and bought one of theirs. You know, the ones that promise a close comfortable shaving experience. But I didn't. Maybe next time. Or maybe by then, someone will have figured out that women are the ones who really spend their lives shaving and they will have invented some really cool razors for women. You think? 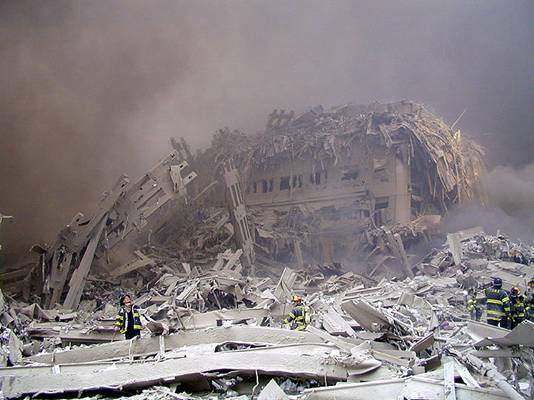 9/11/2001 - Terrorists attack the World Trade Center towers and the Pentagon. 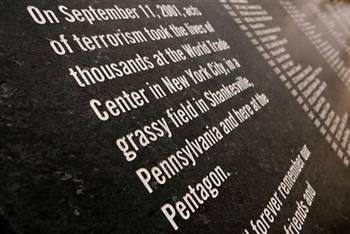 Ordinary heroes aboard United Flight 93 thwart terrorists who have hijacked the flight. 9/11/2003 - Divorce of Robin and Steven Bond. 9/11/2006 - Zoe (Daystar Zoe My Heartsong) is born. 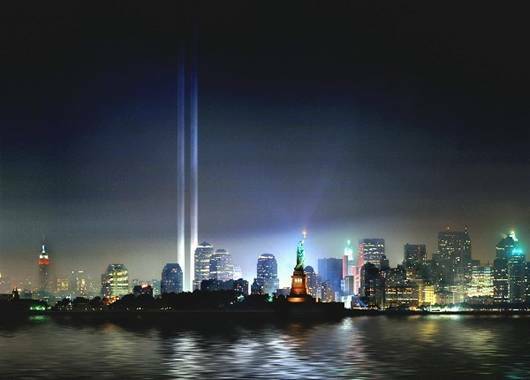 It’s hard to believe it has been 7 years since the terrorist attack on our country that will forever be remembered as “9/11.” Most of us can easily recall exactly what we were doing when we heard and the feelings we had at the time are still fairly close to the surface. Shock. Horror. Disbelief. Sorrow. Anger. Confusion. We couldn’t take it in; didn’t want to believe it was true. 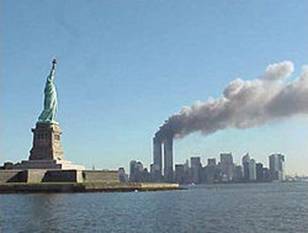 So many innocent people were senselessly, horribly murdered…all because of radical, militant terrorists who hate America. Please take a moment to remember. 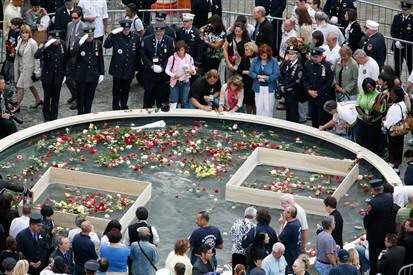 A lot of good, ordinary people went to work that day and never returned home to their families. Many became heroes and died heroes. 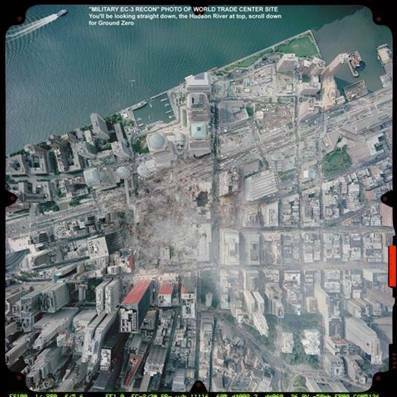 The crater where the World Trade Center Towers once stood left a gaping wound in our collective hearts. It has been rainy, gloomy, windy, blustering, threatening raining, raining cats-and-dogs, drizzling, cloudy, yucky here for over an entire week. I didn't realize what I funk I was in until I woke up today to GLORIOUS SUNSHINE!!!! I felt as if a one thousand pound weight had been lifted from my shoulders! I felt alive again! It's wonderful!!! I've been wanting to share this picture of Zoe with you, but for some reason haven't gotten around to it (could be the above-mentioned funk). I took it about a month ago. Zoe is OBSESSED with squirrels, namely with reducing their population, at least in our corner of the world. And when she sees a squirrel in HER yard, she goes wild! 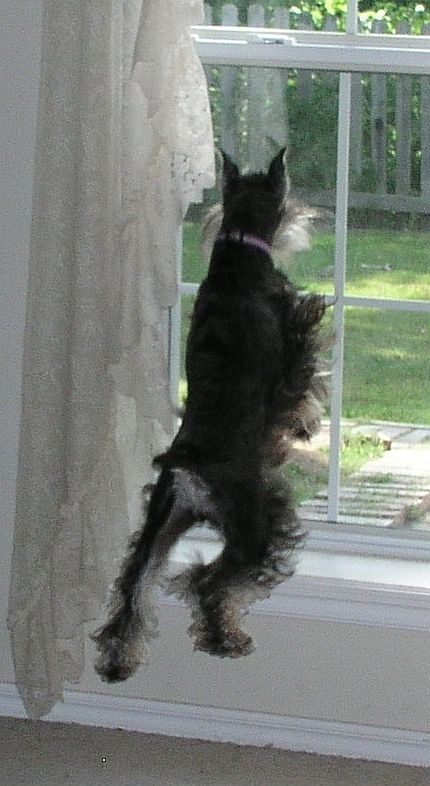 She wants at them in the worst way, so she starts doing this crazy jump-dance-howl routine at the window in her attempt to get them. Mind you, the one time she did catch one, I think it totally freaked her out (I know it freaked ME out!) and she promptly let it go...whether because I screamed and scared her or she didn't really expect to catch it and it scared her, I can't say. But she wants them to know she's a threat and that they are trespassing and their lives are in danger because they are in HER territory. Here she is...my little tough dog! Zoe always helps me "enjoy" and experience adventures with nature. She helped me have an adventure with nature at 4:00 a.m. this morning. I typically get up at 4:30 a.m. because I have to be at work at 6:00 a.m. Lately, Zoe has been getting me up at 4:00 to go out. She continued that pattern this weekend, though I was able to go back to bed, a treat I don't enjoy during the week days. But, needless to say, whether I'm going to be able to hop back in bed or not, I'm none to awake at that time of the morning. So when she "did her business" and came running back inside quickly, I gave her a treat (a piece of dog food in the big chunk size...but don't tell her; she thinks it's "candy") and started to head back to the bedroom. Even in the near darkness, I realized there was something big and dark on the floor where she came in and I figured a small leaf had gotten caught in her fur and had dislodged when she jumped up to get her "candy." I started to pick it up, but it didn't feel right. It felt kind of more hefty than a leaf, so I quickly snatched my hand away and headed for the light switch. Imagine how quickly I came awake when I realized the thing Zoe had brought back in with her was a TARANTULA!!!!!! And I HAD TOUCHED IT WITH MY FINGERS!!!!!! Can you say "OHMYGODOHMYGODOHMYGOD" about 20 times really fast without hyperventilating? The tarantula was fairly small...about as big around as a silver dollar. Which, in case you are wondering, is HUGE when it's IN THE HOUSE. Luckily, it was cold from being outside WHERE IT BELONGS, so it wasn't moving much. But it was obviously alive and I knew it would be thawing quickly. The closest thing to grab, at that point, was a paper towel. Now, how much protection do you think I was going to get from a paper towel? But it was 4:00 a.m. And though I was now awake, I still wasn't thinking extremely well. I grabbed the paper towel, doubled it over a couple of times and smacked the freaking tarantula with my fist several times. I prayed it didn't have babies...and it didn't. I VERY BRAVELY wrapped it up in the paper towel and quickly (lightening speed) threw it in the trash. Shivering with revulsion, I called Zoe and returned to bed. As I snuggled down in the covers, I suddenly began to wonder if I had been successful in actually smashing the tarantula. What if I had only slightly wounded it and it was, even now, crawling out of the paper towel, now that it was getting warm and toasty and recovering from the bump on the head I gave it? What if it realized it was miraculously in a better place and it decided to LIVE IN MY HOUSE? I jumped out of bed so fast, Zoe didn't even get a chance to follow me. I snatched that paper towel out of the trash and, with great trembling, slowly opened it up. I opened it just enough to determine it was still in there - whether dead or alive, I didn't know or care. I quickly wrapped it back up and placed it under the leg of one of the chairs that sits at the eating bar in my breakfast nook. I then slammed the chair leg down on the hideous creature within...and I slammed it quite a few times just for good measure. I then reopened the paper towel and was relieved to see a very squashed ex-tarantula. I re-deposited the paper towel in the trash, slapped on the lid and padded back to bed. Zoe looked at me expectantly and curled up next to me innocently...the little stinker! Happy birthday, Aunt Susie!!! And speaking of my Aunt, here is a really cute picture of her "girls" taken right after they have been groomed. That's Molly on the left and Tori on the right by the chair. Don't they look beautiful?